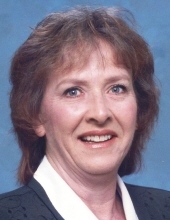 Bonnie Ruth Southard (nee May), 74, formerly of Farragut, went to be with her Savior December 8, 2018 while in the care of her daughter and hospice after a nine-year battle with metastatic breast cancer. Bonnie was born April 25, 1944 to Lee Roy and Lenora (Proaps) May in Harriman. Bonnie enjoyed a simple childhood as the youngest of four siblings. Notably, she was inducted in the Beta Club at Harriman High School where she also had perfect attendance. Bonnie was married to Charles Southard for nineteen years and they had two daughters. After leaving a secretarial career at K-25, Bonnie became a pioneer in the commercial and residential cleaning business. Her business thrived by word-of-mouth and her customers often considered her part of the family. In addition to integrity and a hard work ethic, Bonnie had a big heart and a place at the table for those in need. She mentored several young women facing difficulties, giving them a safe place to live and a productive career. She also treasured family gatherings and time spent gardening outdoors. Unfortunately, Bonnie’s breast cancer had metastasized to her spine prior to her 2009 diagnosis, and she was no longer able to work. Bonnie’s independent spirit, love for nature and quick wit survived until her final days. She most enjoyed seeing her grandchildren grow up, watching the ID channel, and admiring God’s creatures right outside her windows. Ms. Southard is preceded in death by her parents and siblings Sarah Summers, Martha Aikens and Roy May. She is survived by her daughters Charlene Zahand (Ronnie Hutchison) of Pensacola, FL and Shauna (Rob) Pittman, grandchildren Paul, David and Saralyn Pittman of Annandale, Virginia, her sister-in-law Judy May, niece Theresa Woodis, nephews Greg Summers, Marty Aikens and Chris May, great nieces Caitlyn Powell and Hayley Whited, great nephew Zach Wilson and great-great niece Cassidy Powell. Receiving of family and friends will be held 10:30, Saturday, December 29 at Click Funeral Home, 11915 Kingston Pike, Knoxville, TN, followed by a memorial service at 11:00 officiated by Rob Pittman. At the conclusion of the service, interment will be at East Fork Cemetery, Oak Ridge, near her parents. In lieu of flowers, please consider plants that can become a permanent memorial garden to Bonnie or donations to Capital Caring Hospice in memory of Bonnie Southard (https://www.capitalcaring.org/). To send flowers or a remembrance gift to the family of Bonnie Ruth May Southard, please visit our Tribute Store. "Email Address" would like to share the life celebration of Bonnie Ruth May Southard. Click on the "link" to go to share a favorite memory or leave a condolence message for the family.